Hello! My name is Sreekanth Bandarla, an enthusiastic SQL Server DBA. I’ve a decent amount of exposure to Microsoft SQL Server 7/2000 and a very solid exposure to SQL Server 2005/2008/2008R2/2012/2014/2016 environments. I became an MCITP – SQL Server 2008 Database Administrator in the year 2010 and achieved MCSA 2012/2014 in year 2014. I love to explore and learn any emerging technologies w.r.t SQL Server and to share my little knowledge with my fellow DBAs. Am specialized in architecting SQL Servers, Installations/configurations, Validating and hardening Microsoft SQL Servers with appropriate Configurations, Designing/Implementing/Maintaining and troubleshooting HA and DR solutions in accordance with RTOs and RPOs, defining database standards as per the best practices/client requirements, defining benchmarks, providing day to day database support, maintaining Security/Audit Requirements,offering production support and mentoring my peers as needed. I’ve solid working experience on supporting MOSS 2007/SharePoint Server 2010/System Center Databases, VMWare, System Center Data Protection Manager,Active Directory, All windows Server platforms and assisted my team(s) as needed. Currently busy exploring Azure and Amazon RDS for SQL Server. 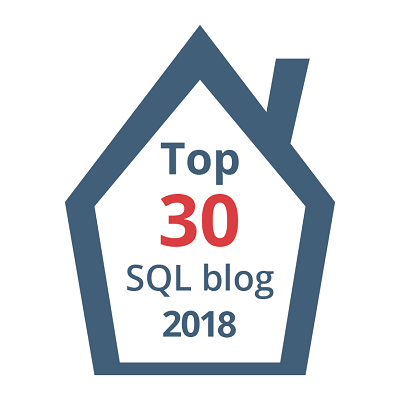 This blog is actually a small attempt where I can reach out to SQL DBA community in my way rather than always sticking with my internal team(s). I strongly believe this is one of the best ways where I can learn a lot of new things from all other fabulous DBA’s out there and also the best way to share my little knowledge to our community. Disclaimer: This is my personal blog. The opinions expressed here represent my own and not those of my employer. All data and information provided on this site is for informational purposes only. Me and/Or mssqltrek.com/sqlbuzz.wordpress.com makes no representations as to accuracy, completeness, currentness, suitability, or validity of any information on this site and will not be liable for any errors, omissions, or delays in this information or any losses or damages arising from its display or use. All information is provided on an as-is basis. I reserve the right to delete any comment for any reason whatsoever (abusive, profane, rude, or anonymous comments) – so please keep it professional and polite. I have gone through your Clustering installation guide which is awesome for anyone. I really appreciate your effort and thank you. Sreekanth, thank you for doing this web-site. I found it looking for what is involved in backing out a service pack. Your writing style and instructions are very clear and helpful. I will be back. Thanks again. Working with Sree is always fun (You owe me a drink for that) :). Thank You for doing this website, it helped me a lot. Good Luck for future endeavors ! thanks for sharing the clustering blogs…. Sreekanth is the best SQL-Server DBA that has worked for my clients. We have receive great feedback on his work.